Have you always wondered what it would be like to write a screenplay? Are you a writer from a different discipline who is considering trying your hand at writing movies as well? Or are you someone simply looking for a new creative outlet? Then, this fun and insightful seminar is definitely for YOU! Jordan Morris is an award-winning producer and director of films like Nintendo Quest and Multiple Festival Best Documentary winner, Missing Mom. He has also worked on numerous films as an actor, production designer, art director and screenwriter. Since 2013, Jordan has been creating and hosting popular seminars and workshops on the nebulous art and science of writing screenplays and most recently has taken a position as one of the organizers of London's Forest City Film Festival. His experience, disarming personality, and often entertaining teaching style has made him a popular instructor for all personalities and experience levels. 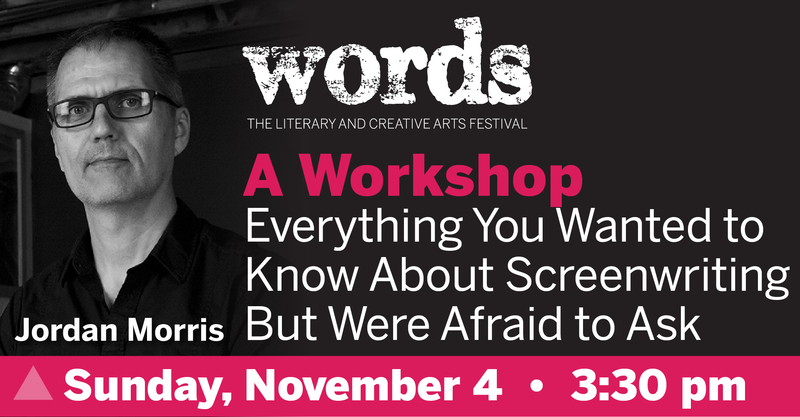 This seminar is suitable for anyone of any skill or experience level who has been curious about the mysterious art and science of writing screenplays and would like to learn more. Listen to screenwriting instructor Jordan Morris explain just how dramatically different screenwriting is from all other types of creative writing, what the industry expects from working writers -and why, and what will challenge you the most about the complex process of writing an industry-standard screenplay that will sell. The seminar will conclude with a Q & A period during which Jordan will do his best to answer any and all questions asked.